It has happened to me more often than not; I’ll be excited for a new area to hunt then get out there to scout around and once I’m done I will start heading back to the truck only to find out I have ventured further than I thought. I have found myself assuming I was on a particular ridge while I really was one over. I am good with directions and I can read a map, but there are times where I am very excited to just get out to the area that I have looked at the map long enough and assumed it would be easy enough to navigate. Well after wandering around and coming out a couple ridges higher than what I thought, I told myself I needed to be more sure of myself rather than assuming. I’m sure there are some of you who are like me and have always wondered about using a GPS and then there are others who are saying, “What took you so long to get a GPS?” I have been more or less a creature of habit and have hunted in a lot of the same places where I was very familiar with and didn't have to worry about getting turned around. I have always had luck seeing animals, but I have started branching out to different areas due to hunting pressure. This is where a GPS has helped out tremendously. Christmas time came around and my mom and dad surprised me with a Garmin etrex 20 for Christmas. I guess they wanted to make sure I wasn't lost when I headed out. I am still getting to know the ins and the outs of the etrex but so far it has been very easy to learn. I love how compact it is and how light it is. A great GPS. The Garmin etrex is perfect for the budget and it gets the job done. I thought that it would only come in use for when I was venturing into a spot that I had never been. I started playing around with it and I have to say, I take it everywhere with me basically. It comes in handy for more than just a hunting situation in the back country. 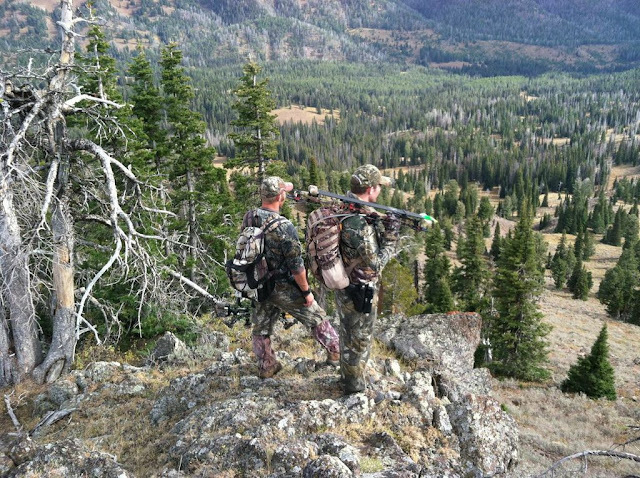 As many of us hunters know, hunting a new area can be challenging and in most cases what we are looking for once we find that perfect spot is whether or not public land. I hunt strictly public land so I am always looking for those hot spots that are public yet far enough off the beaten trail to distance myself from other hunters. Sometimes this can be a daunting task and when you do find that spot you want to make sure that you don’t cross that boundary onto the private land. 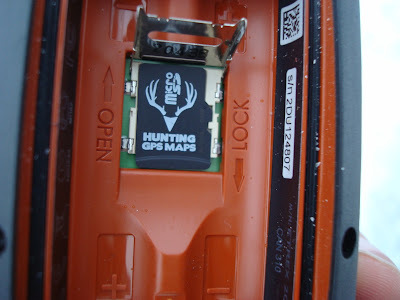 One key tool that I have found that has helped me is Hunting GPS Maps. This micro SD card fits right into my Garmin GPS and gives me PLAT map information on the land in Idaho. They are state specific cards and they give you information that is vital for public land hunters. It shows you land ownership, land boundaries for public or private land, and even shows you land owner names. One of the quickest ways to ruin a hunt is finding out you are trespassing and get hit with a hefty fine. 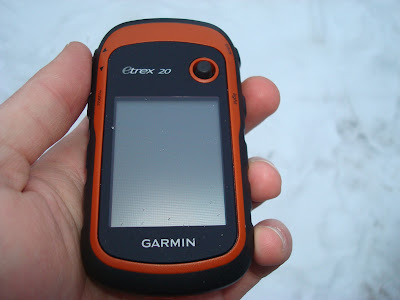 A GPS is one of the most important pieces of equipment that I pack with me every time I hit the woods. I highly recommend using a GPS especially if you are hunting new areas to avoid getting lost. The GPS along with Hunting GPS Maps will help you as you navigate your way around new areas and will take the guess work out of whether or not you are on public or private land. As you can see, the Hunting GPS Maps shows you the different parcels of land and their ownership. You will be able to clearly see if you are on public or private land. This also comes in very useful when you are trying to gain access to hunt private land by giving you the land owners name. No more guessing, you will be able to know the persons name and then you can go and ask them for permission. Out here in the west, my style of hunting is mainly spot and stalk, and just like any style of hunting, it requires a lot of scouting in order to pattern the animal to ensure that you will be hunting in the right area. Once you think you are in the right area, you still have to find the animals before you can put a stalk on them. 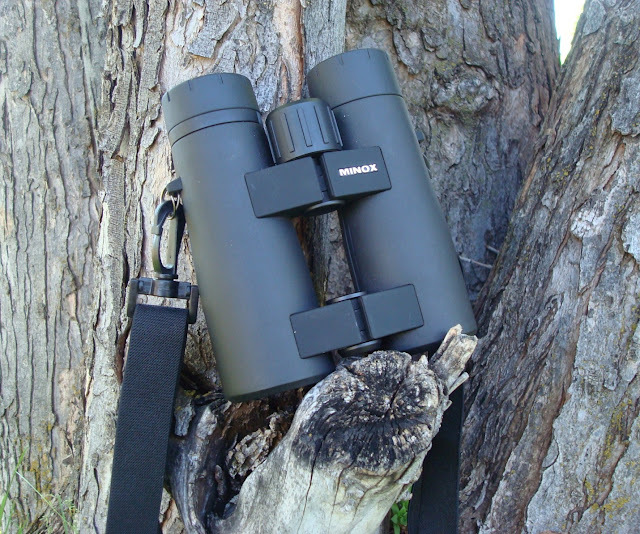 Probably the most important pieces of equipment that you will find with me every time are my binoculars. 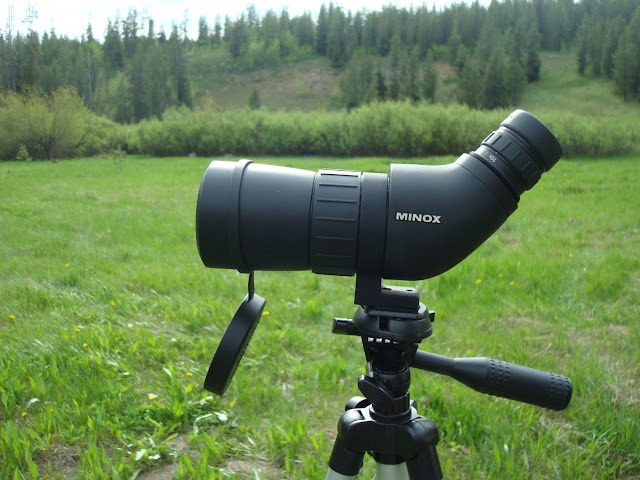 A good quality pair of optics will go a long way here out in the west as well as any hunting situation, which is why I use Minox. The best way to spot and stalk is to spend a good amount of time spotting the hillsides and drainages. Finding where the animal is and watch what it is doing helps you to set up a game plan to put the sneak on. One thing to do is get to a high vantage point where you can sit and glass a large area. 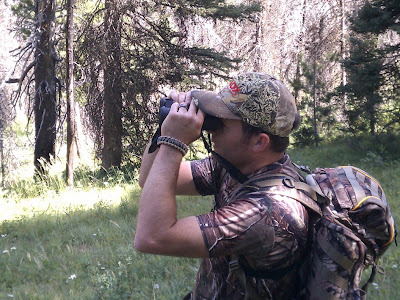 Spend the time scanning over the area taking your time and looking for different shapes, ears, antlers, or any part of what could be a deer, elk, bear, or moose. 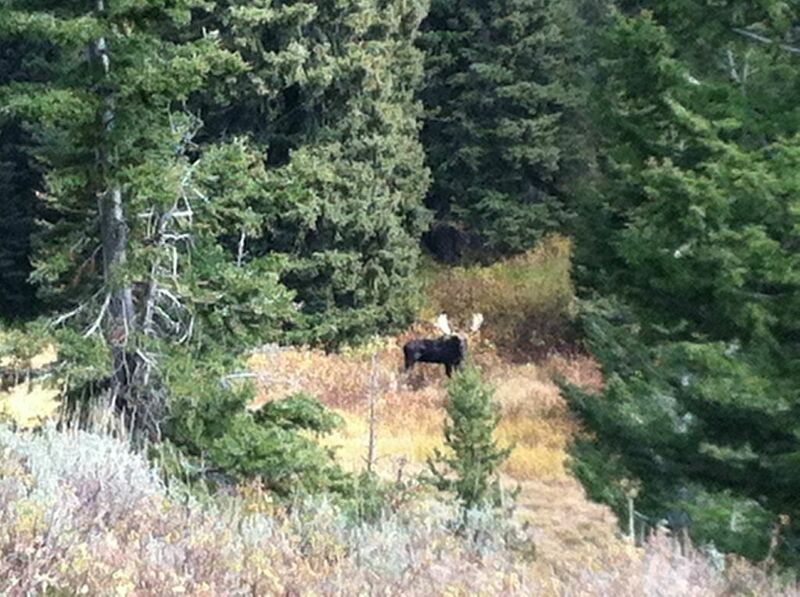 You can see in the picture above a nice bull moose that we were able to sit and glass to get a good look at him. 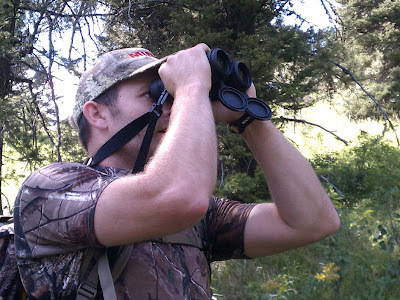 I always pack my binoculars with me on every hunt, but when I am headed out on an elk hunt I make sure to pack my spotting scope as well. Being able to set up a spotting scope and just glass mountain sides gives me the advantage on locating the elk to construct a game plan. I use the Minox MD50 W when I go elk hunting. It is lightweight enough that I can throw it in my pack and not take up room while providing high magnification to allow me to get a good look at the animals I am chasing. When you are hunting spot and stalk elk, you definitely don’t want to be packing a lot of weight in your pack as you go up and down deep canyons while you are putting on the sneak. The size and weight of the MD 50 W is just right to take along with a nice lightweight tripod to set it up on. 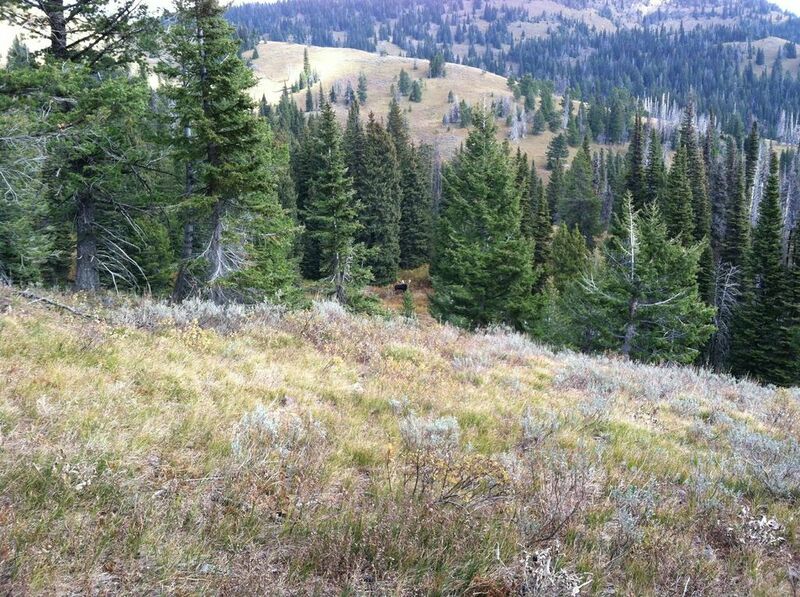 Once you spot the elk and you are putting the sneak on, you pack up your spotting scope and rely on your binoculars moving forward. 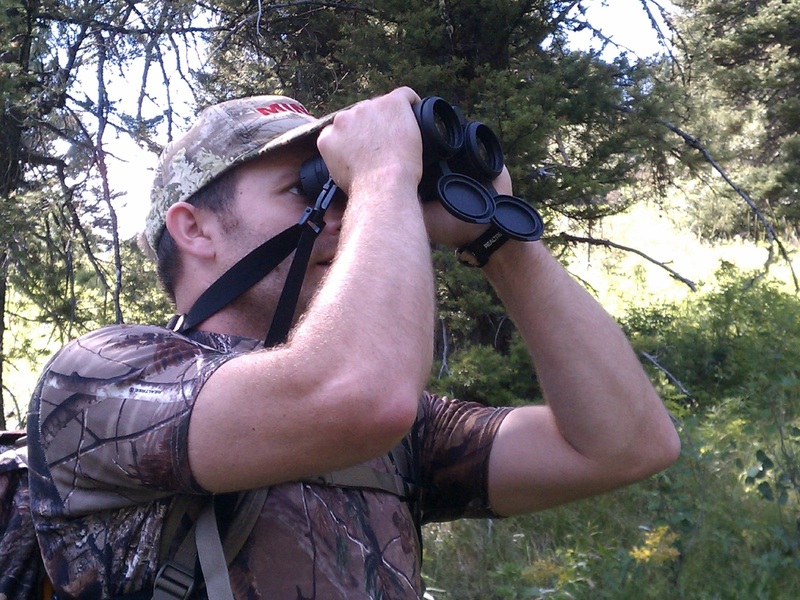 A durable and lightweight set of binoculars is vital when spot and stalk hunting. Like I had mentioned, trekking up and down steep canyons is difficult as it is and having a heavy pair of binoculars will just be slowing you down. The BL 10x 44 binoculars from Minox provides just what you need. They are lightweight and quick to focus on the object which is what you want as you are putting the stalk on a herd of elk. As you are moving in closer to the elk, you need to stop and take a break every once in a while in order to make sure you are headed in the right direction and the elk haven’t decided to move in another direction. You always need to check on your progress as you move in to get a shot. You don’t want to just pick a spot and head that direction without stopping to check if the elk is still there. So always make sure that you can stay hidden but be able to check on the elk every now and then. The key point is to take the time to glass and make sure you have some quality glass. It will surprise you how much you are missing if you just take the time to slowly scan a mountain side. It takes a lot of patients to just sit and glass but in the end you will see more animals. Best of luck and enjoy this time of year as you get out and scout for the upcoming season. Be safe and enjoy!